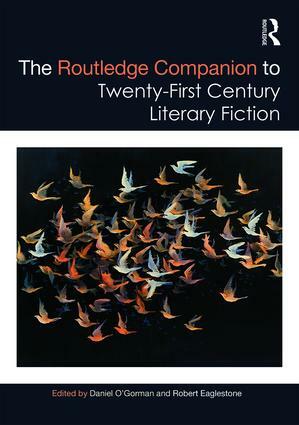 O’Gorman, Daniel and Robert Eaglestone (Eds).The Routledge Companion to Twenty-First Century Literary Fiction. Abingdon: Routledge. 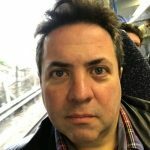 An interview with Daniel O’Gorman (DO’G) and Robert Eaglestone (RE) on the publication of The Routledge Companion to Twenty-First Century Literary Fiction. Why is this the right moment to undertake the task of mapping the landscape of twenty-first century fiction? Were you prompted primarily by disciplinary shifts in the academy or is there a sense that we’re beginning to see the shape of a distinctly twenty-first century literary culture? DO’G: I don’t know about it being the right time, but I think it is a good a time as any to start thinking about mapping our contemporary literary culture. As we mention in the introduction, it’s an experiment of sorts, and of course we don’t aim for it to be comprehensive or definitive by any means (it literally can’t be, simply because we’re only a fifth of the way through the century). We’re offering a snapshot of literary fiction right now, from a particular angle, so as to help make some sense of what’s going on today and perhaps give an indication of the direction of travel among some contemporary writers and critics who we think do interesting things. It’s a Companion rather than a Handbook or a History or a Guide: a book for readers to actively do the mapping with, instead of one to be directed by. RE: And to add to that there is a change in the discipline itself. When I was an undergraduate, in the eighties, the ‘contemporary’ seemed to be the fifties, which was . . . weird. But over the years that has shifted: and the few scholars who worked in the contemporary (for example, Pat Waugh, Dominic Head, Jago Morrison, Nick Hubble) have now been joined by very many (younger) scholars with fascinating things to say. I think, in part, that was the impact of theory, which opens new ways to discuss texts – and theory travels easily to the contemporary; in part, a sense that that the discipline just had to engage more with both current literature and with the world in order to, well, live. The study of contemporary fiction responds to the need to understand our rapidly changing world now, with the intellectual resources we have to hand, and shares the long-standing belief that literature is an astonishingly powerful means for this. In part, too, its growth is a linked to the huge and welcome surge in creative writing and in creativity in general, which brings the contemporary right into the seminar room. And also the study of contemporary fiction is clearly part of the contemporary fiction industry, of writers and publishers and agents and so on – a flourishing and profitable ‘literature-sector’, which, as Rick Rylance points out in Literature and the Public Good contributes £2.1 billion to the UK economy (in addition to £4 billion from publishing more generally). I’m interested that you have twenty-first century, rather than contemporary in the title, which suggests an interest in periodisation – in looking forward to imagine ourselves looking back, rather more than the ‘rolling sense of the contemporary’ by which BACLS organises itself, for example. Though you problematise this early in the introduction by interrogating notions of the contemporary and our relationship to it, making the point that not all twenty-first century fiction is contemporary fiction and suggesting that you are most interested in fiction that is. This seems to me to be a productive tension throughout the book and I wonder how it informed your editorial decision making? D’OG: Periodisation generally starts to happen after the fact, and as a result even the most self-reflexive attempts at historical mapping can end up having a touch of empiricism about them. We noticed that one thing that seems to be happening a lot in twenty-first century fiction is that writers are trying quite explicitly to offer their own contributions to the critical mapping of the present. This in itself isn’t necessarily something new, but the frequency and speed seems to be increasing. William Gibson’s 2003 novel Pattern Recognition was an early indicator of this in that it was his first novel set in the present day, because in his view the future he had been envisioning for the past twenty years had now arrived. But we can now also see it in more recent novels like Ali Smith’s Autumn (2016) and Winter (2017)or Olivia Laing’s Crudo (2018), whichtry their best to be as “contemporary” as they can possibly be. There is perhaps a sense that the “contemporary” in the twenty-first century feels more self-consciously contemporary than previous contemporaries. Obviously this is just a feeling rather than an objective fact, but it’s a feeling that’s arguably driven by unprecedentedly rapid accelerations in technology and communication, as well as perhaps an increasing sense of panic about the fact that we’re sleepwalking into climate catastrophe and nuclear war: what Laing describes as a growing dread about “something creeping nearer”. And so with the Companion we tried to replicate something of this immediacy that runs through so much contemporary fiction. In Bob’s 2013 article “Contemporary fiction in in the academy: towards a manifesto” you suggest that “disciplines are shaped by questions, and … they reach maturity when they question their own questions. However, the study of contemporary fiction does not even know what its questions are despite the unique complications it faces” (1100). How much do you think this has changed since 2013? Can we see this volume as a means to at least establish what those questions are? RE: I’d like to think that the book does do something towards that, not least because – thank you for your question – that was why I wanted to do it in the first place. What do all these clever, thoughtful people, our contributors, think is going on? I wanted us to think companionably about these questions (which doesn’t meant we have to agree, of course: we are just, as it were, breaking bread together). What are the questions? First, about form. Some are rather general and might apply to any period in the last, say 150 years: how is the novel’s form developing? What can we learn from experimental fiction? But the most characteristic of our period – and I think David Shields’ Reality Hunger is spot-on here – are about how “fiction” (and I put it in scare quotations now) relates to or constructs or traces the “real” (ditto scare marks). What marks a literary period, I think, is its particular reworking of this relationship. What literary techniques mark or shape the “real”? How does “fiction” relate to the personal or biographical? How does “fiction” speak to, or with, new and diverse engagements with the “real”? What are the modes of the “real”? Are we post-postmodern, metamodern, neomodern, newly sincere (and so on, and so on): these scholarly names are less like labels or pigeonholes and more like experiments in understanding, or signs pointing to directions, from which we can begin to develop some shared ideas. Why does this seemingly academic and specialised question of form matter? Because the question of form is the question of meaning, and that’s what we are interested in. Lots of the chapters touch on this. Second, there is a sense in the book of the interlinked philosophical/political/cultural questions of our age: the change wrought on us through the digital; the issue of gender and especially its relation to the body; the borders and ethics of the human (in relation to animals for example, but also the question of the “transhuman” and of the social); the environment; the question of the refugee, which is also a question of ethics and politics (the right to have rights, the role of the nation-state); the perennial question of our relation to the legacies we inherit and the ones we choose, for better or worse, to pass on. These are all questions of the “humanities” because they all concern versions of the “human” and I think the study of literature poses these questions most intensely and most fruitfully. And they are all the questions of the contemporary: what is it to be, now? Why did you make the decision to define your project in terms of literary fiction? I’m interested in what it is that makes a text literary and whether our sense of this is stable or constantly in flux. RE: I hate being controversial, so please excuse my preliminary throat clearing in answer to this. First, I read a lot of genre fiction (SF, a little crime, YA stuff and comics) as well as “literary” fiction: and even the division of “genre” and “literary” sounds snobby. As my colleague Adam Roberts says, and I agree, one can love James Joyce and Judge Dredd (and I do). And of course, the study of all kinds of literature is fascinating and tells us important things. Second, I believe that there is no such thing as a magic ‘literary’ element (literonium) that all “literary” texts share. But it is the case that, although I have thought a lot about Judge Dredd (about juxtaposing heroism and fascism, say, or about society, law and justice: Dredd marks Gillian Rose’s “diremption of spirit” or a series of Derridean aporia) I have thought even more about Ulysses or The Golden Notebook. Third, we often forget that the contrast of genre and literary fiction is itself created in large part by the discipline of English in the first half of the last century: like a school sports teacher it picked the sides (unfairly), set up the goals (value! canon!) and then tried to referee the game (with a bias). However, despite the referee, genre won. And, in fact, perhaps genre had always won. What we call genre fiction dominates the public consciousness and the market: and there are plenty of academic companions and handbooks and histories of science fiction and crime writing and so on. These are the dominant forms in the ecosystem: so it seems important to stand up for and support “literary” fiction. I suppose also I’m thinking a lot about – to stumble towards some words – closed and open fiction. Dan and I discussed this at length during the process of editing the book. Take plot. In genre, lots of fiction is ‘closed’: a murder mystery heads to a solution; an out-of-control-AI heads to a confrontation; a couple heads towards a union. And that’s also true in “literary” fiction: the adultery-in-Islington-and Brooklyn novel; the manic-pixie-dream-girl who invigorates the mid-career writer and then vanishes; the middle-class Bildungsroman. But some writing, whether you buy it from the “literary” shelf or the “SF” shelf is open. The real crimes of Thomas Mullen’s policier Darktown (2016) are not solved. The outcomes of Ali Smith’s Autumn (2016) are uncertain. I’m not sure what to do with this, really, any more than I am with the fact that while I love both Leopold Bloom and Joe Dredd, I learn more from the former than the latter. DO’G: We did spend a whole afternoon last April trying to pin down the literary to a working definition of sorts, and – although enjoyable – it was really difficult! Every time we thought we had it, there always turned out to be exceptions to the rule. In the end, it did seem to be this sense of “openness” that we kept circling back towards, which Bob has touched on above and that we discuss in the Introduction. But I think it’s important to think about the category of the literary as open, too. Part of what makes it interesting, and worth continuing to think about today, is its shifting nature. The idea of the literary often gets criticised for being too fixed and rigid, and sometimes rightly so (as Bob’s just mentioned), but I’d say that this is only a part of what the literary is. Looking at the chapters in the book, it’s clear to see that contemporary literary fiction, understood in a broad and open way, is extremely varied and draws on all kinds of topics and influences and styles. The novelist Eleanor Catton recently suggested that expectations of form in the novel have become more porous at precisely the same time that genre has become more rigid. Several of the novelists featured in the Companion (e.g. David Mitchell, Kazuo Ishiguro, Hilary Mantel) draw explicitly on genre forms and you mention Margaret Atwood’s use of genre tropes in your Introduction. Do you sense writers and critics pushing against a genre/literary divide? Does twenty-first century literary fiction that is ‘contemporary’ owe a debt to genre forms? DO’G: Yes to both questions, definitely. We single out two other authors who have chapters devoted to them in the book, too: Jonathan Lethem, whose whole career has been about this and Colson Whitehead who has also dabbled in it, especially with his literary zombie novel, Zone One (2011). But you can see elements of this blurring of literary and genre writing in other authors that the collection looks at too: David Mitchell, Jennifer Egan, and Hari Kunzru especially. And you can see it as well right now in the new Marlon James novel, Black Leopard, Red Wolf (2019), which has been widely marketed as “an African Game of Thrones” (in fact, in a recent interview in The Guardian, James said that he’s afraid the novel will be “too literary for fantasy fans, too fantastical for literary fans”). Legitimate questions can be raised about just how useful the term “literary” remains today (do “serious” genre writers, like Adam Roberts, Octavia E. Butler or China Miéville count as “literary”? ), or indeed whether it’s even desirable (its parameters have, after all, traditionally been set by upper-middle-class white men, and genre writers often strongly reject the “literary” label as a point of principle). But equally, the texts discussed in the Companion that dabble with genre are also clearly doing more than genre. They are taking genre tropes and placing them in a context shorn of the limitations that a work of true genre fiction necessarily requires. In this way, what they’re doing is not a million miles away from what Rushdie did by placing Quranic tropes into a secular context in The Satanic Verses (1988), or what Bob Dylan did by “going electric”: there’s something transgressive, or at times even heretical, about what these writers are doing with their chosen generic conventions. Despite its imperfections, the term “literary” is one that actively invites critical debate, and so is one of the better terms we have available to us for describing this kind of writing. We’re not suggesting that literary fiction is somehow inherently better than genre fiction, or that it’s necessarily exceptional from other cultural products in some metaphysical way, but just that recognising it as a particular kind of cultural product, with particular strengths and abilities, can lead to valuable insights. RE: What Dan said! I also think that the concept of “genre” is in disarray. While publishers insist on it more and more strongly (it’s the brand) and the market tries to shape an audience (as “fandoms”, say), writers and critics are finding it more and more problematic and limiting. So both terms, as Dan points out, are ways of framing debates. From an institutional perspective I note that Arts Council England have recently pledged £38 million per annum to the development of literary fiction, explaining that a previous presumption that the novel was a commercial form that does not require external funding has now been reconsidered. No subsidy is suggested for fiction that continues to be regarded as “commercial”. Do you see an enduring divide in twenty-first century fiction between heteronomy and autonomy in cultural production; or the artist versus the craftsperson. Or do novelists need to be both? RE: As above, I think that literary and experimental fiction needs support, the way that all smaller art forms do (because it is from the margins that that the new things come), so this is a sensible move. I think all artists balance the need to earn a crust with the need to create: actors, for example, talk about doing “one for the soul and one for the bank”. Turning to academic writers engaged with the contemporary, are writers on contemporary literature necessarily cultural critics as well as literary critics? DO’G: I’d say so, yes. We might even say that they always have been: it’s just that more recently they have been waking up to this a bit more. Literary fiction is a cultural product, after all. But there does also seem to be an increasing number of critics these days who analyse literary writing alongside other kinds of cultural work (films, performance, visual arts), which is a really exciting way of doing things and offers up lots of fascinating new perspectives. Some of the contributors to our book do this really brilliantly in their wider work. RE: Yes, I agree. There are also ways in which work that is recognisably literary is spreading to wider cultural and political realms (I’m thinking of, for example, Caroline Levine’s work on form, moving from the literary to the political). I’m interested in how you originally conceived the book and planned your approach. Did you put together the organisational structure as editors and then approach contributors to write specific, preordained chapters, or did you collaborate with contributors on designing the content? DO’G: We had a list of topics that we wanted to cover, but these sometimes changed slightly as the chapters were written. We didn’t want to impose a structure as such, but rather to let themes and trends emerge organically. The book structure wasn’t pre-planned, but emerged through the way the finished chapters seemed to intersect with each other. I actually only came on board with the editing once the project was already under way, so perhaps Bob can explain a bit more about its origins? RE: I’ve edited a lot, and when dealing with intellectuals my belief is to, er, let them do their job and follow their muse, rather than try and harness them too strictly to some framework of my (and Dan’s, in this case) devising. (An exception to this is readability: I am always keen to avoid work that – either as too scholarly or too theoretical – is unreadable). As I said, I was keen to get lots of clever people together to see what emerged – so it was pretty collaboration-oriented. I also spent a lot of time discussing this with Polly Dodson at Routledge, who is a superlative editor, with a real sense of when to intervene and when not. She and her team deserve a lot of credit for the volume. More, the book ran into various problems during its gestation and birth and she and Zoe Meyer at Routledge were both really supportive and helpful. I loved the structure and breadth of coverage of the volume, but debating the logic of inclusion/exclusion and what you’d have done differently is part of the fun with this kind of collection! So, I wondered, did reviewers suggest any additions that influenced you (or indeed any that you rejected)? And if you could add another three chapters (each!) to the volume what would you add? DO’G: I don’t know about adding three more chapters: my thoughts on this would change every day! We wanted to avoid the impression that we were aiming for empiricism or canonisation, after all. But I do wonder what the book would have looked like had we included more focus on literature in translation: Michel Houellebecq, Haruki Murakami, Roberto Bolaño, for instance, have all made a significant impact in the Anglophone world over the past twenty years, but taking that step into translated fiction raises all sorts of difficult questions that it was just beyond the scope of this already massive volume to be able to deal with. We also lost a small number of chapters along the way for various reasons, including one on disability, which it would have been really great to include. RE: Yes, I agree with Dan’s sentiments. I was sorry about the chapters we lost (normal on a huge project like this). I teach contemporary literature in translation, so would have liked more of this, as Dan suggests. Three more? Human rights; war; if there was a way I could have got the narrative of computer games in, I would (I mean, Red Dead Redemption(2010) is “genre” but is This War of Mine (2015) or Journey (2012)?). There are lots of interesting connections between chapters. For example, we have Caroline Edwards’ chapter which deals with temporally dispersed narratives and Kristian Shaw’s on globally dispersed narratives, both using David Mitchell’s Ghostwritten (1999). Was there dialogue between authors as they wrote, or was this all in the editorial placement of chapters? DO’G: There was not much official dialogue between authors, but they would have been aware of each other’s wider work (and, as Bob has mentioned, we shared a few chapters between contributors in order to avoid too much overlap). The placement of the chapters in the collection was an editorial decision, largely based on the connections and resonances that we noticed between them. The volume argues a strong case for the importance of new forms we’ve probably all read about – sincerity and autobiografiction are two of those; it shows how some more established forms – the pastoral novel, or the comic novel have metamorphosed in the twenty-first century, but perhaps most excitingly it introduces new concepts. I was struck by Caroline Edwards’ concept of the “networked novel”, for example. Were there discoveries for you in editing the volume, whether in terms of new concepts, formulations and connections, or simply authors/novels you hadn’t previously discovered? DO’G: I found it to be much more a case of having new and accessible articulations of things that I was already half aware of through attending conferences and reading around contemporary literature generally. The “networked novel” was a particularly good example of this, but I had lots of “ah, now I get it!” moments while reading through the chapters. Those on finance and family and the digital stand out in my memory in particular. And yes, sincerity did just seem to come up again and again. Even though this has become a bit of a truism in contemporary literary studies, time and again throughout the book, contemporary writers are shown to be grappling with the cultural complexities that the so-called “post-postmodern” tension between irony and sincerity points towards. We live in a time when we’re constantly “liking” dank memes one second and signing climate change petitions the next, and the Companion repeatedly shows us how contemporary literature bears witness to this manic oscillation. In the introduction you quote Luke Turner arguing that one of the characteristics of metamodernism is a yearning for utopias. In contrast, in 2016 Fredric Jameson noted that there had been a “marked diminution of new utopias over the last decades, along with an overwhelming increase in all manners of conceivable dystopias, most of which look monotonously alike” (1). So, two questions here. 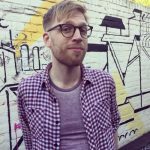 What is the role of utopianism and dystopianism in contemporary fiction? And, is the twenty-first century novel more interested in examining the complexities and the possibilities of the present, and in reinterpreting our relationship with the past, than in imagined futures? DO’G: I don’t think Turner and Jameson are in disagreement, necessarily: Turner is pointing out a desire for utopias prompted in part by exactly the “diminution of new utopias” under late capitalism that Jameson describes. I’ve actually just finished reviewing a book on utopia and terror by Judie Newman, in which she articulates this really nicely by saying that “[t]he utopian wish has become more prominent than the utopian genre”(8). She sees both Islamist extremism and “human rights imperialism” as being driven by utopian impulses. Meanwhile, Turner points to Trump’s election as an example of utopian thinking in action (albeit from a far right perspective), and argues that Pepe the Frog has become an example of right-wing metamodernism in crystallised form: goofily ironic and violently sincere at the same time. RE: That’s a really hard question. I think that how we live with the past has changed. It’s not simply that we understand that the history can be written differently (women’s history, Scottish history, and so on): rather, how we understand what the past is, and how it impacts the present is fracturing (or, better, we have a sense of the fracture). A national history is different from a traumatic history which is in turn different from a personal history, and so on: these are not simply different versions of the same thing (“the past”) but different ways of being in relation to past-ness. I think literature has come to understand this and explore it: novels about the past are not simply “historical novels” but a whole spectrum of other kinds of engagements with the past, present and so with the future. I’m pretty sceptical about utopias in all sorts of ways. For myself– and with apologies to many scholars I admire for whom utopias are central – I’ve always thought them a slightly limited kind of literary form and idea. DO’G: I agree that utopias, understood in the traditional sense of texts that systematically map out alternative societies, can sometimes be limiting. But I am more open to the sorts of low-key utopian feelings and briefly glimpsed flashes of alternate ways of being that certain literary narratives can offer, and that lots of contemporary texts seem to be striving to provide. In my own work, I’ve tried to show how writers like Teju Cole, Hari Kunzru and Kamila Shamsie offer their readers glimpses of a more just way of thinking about cultural difference in the context of the war on terror, and that when taken together, these glimpses form a sort of constellation which we can use to help recalibrate the way we relate to others around the world. And in the Judie Newman book I mentioned, there’s this great bit of commentary on Chitra Divakaruni’s One Amazing Thing (2010), which is about a disparate group of characters who get trapped in the basement of a department store after an earthquake, and tell each other stories to pass the time. Through the act of collective telling and listening, the stories combine into a whole that’s somehow more than the sum of its parts, and a new sense of community begins to emerge between the characters. As Newman puts it, “the stories alter the ways the characters understand their world” (137): they offer the characters – and the reader – a glimpse at a different way of being with others in a time of crisis. I think these kinds of utopian moments can constitute one of a number of valuable ways in which fiction might help to counter the messianic far right utopianism that seems to be on the rise everywhere at the moment. I actually think that the chapters in the Companion do something like this, too. One of the key things that we’re always trying to teach students in class is the idea that literature and literary criticism can help make visible those difficult aspects of contemporary reality that we all know exist but that can be hard to get our heads around (the digital, the Anthropocene, financial circuits), as well as those things that, as a society, we don’t always want to get our heads around (heteronormativity, Islamophobia, white privilege, antisemitism – all those uncomfortable things that can sometimes be easier to ignore). Many of the book’s chapters, I think, really demonstrate how contemporary writing can play a role in helping us find our way around our increasingly confusing and complicated contemporary moment, and they repeatedly show that an understanding about how narrative works (and how it can be deployed for all kinds of political ends, whether utopian or dystopian) will continue to be a vital tool for negotiating the world in the twenty-first century. Please comment on and share this interview! Robert Eaglestone is a British academic and writer. He is Professor of Contemporary Literature and Thought in the Department of English at Royal Holloway, University of London. He works on contemporary literature, literary theory and contemporary European philosophy, and on Holocaust and Genocide studies. Daniel O’Gorman is Lecturer in Twentieth and Twenty-First Century Literature at Oxford Brookes University, UK. He works on contemporary literature and terror. Caroline Wintersgill is a PhD student and visiting lecturer in English and American Studies at University of Winchester. Her research is on contemporary fiction, with a particular interest in literary institutions, the contemporary history of the book, readers and readership and the relationship of all three to narrative; she has also published on haptic approaches to literature and film. Caroline has been a publisher for 30 years. She was a founding editor of Bloomsbury’s academic division from 2009 to 2015, where she worked to establish the company’s open access business model. 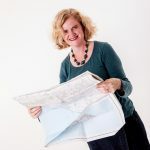 Alongside her academic work she is now senior consulting editor to Manchester University Press and Lynne Rienner publishers and editor-at-large at Biteback. Eaglestone, Robert. “Contemporary fiction in the academy: towards a manifesto” Textual Practice, 27.7 (2013), 1089–1101, DOI: 10.1080/0950236X.2013.840113. Jameson, Fredric. “An American Utopia.” An American Utopia: Dual Power and the Universal Army. Ed. Slavoj Žižek. London: Verso, 2016, 1–96. Newman, Judie. Utopia and Terror in Contemporary American Fiction. Abingdon: Routledge, 2013. Rylance, Rick. Literature and the Public Good: The Literary Agenda. Oxford: Oxford University Press, 2016. Shields, David. Reality Hunger. London: Penguin, 2011.